Sublime five bedroom villa in a highly desirable setting on the Spanish coast. 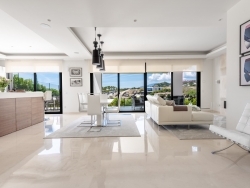 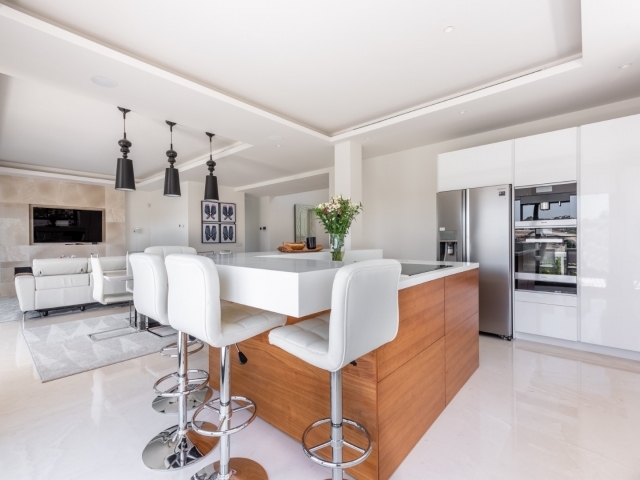 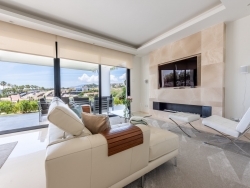 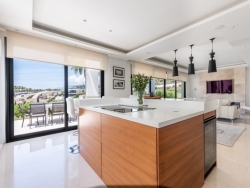 Set in a tranquil yet convenient location in the highly sought-after residential area of Nueva Andalucia, the villa epitomises exquisite contemporary living.  Nestled in the hills of the Golf Valley, the location offers the best of both worlds in terms of tranquility and convenience. 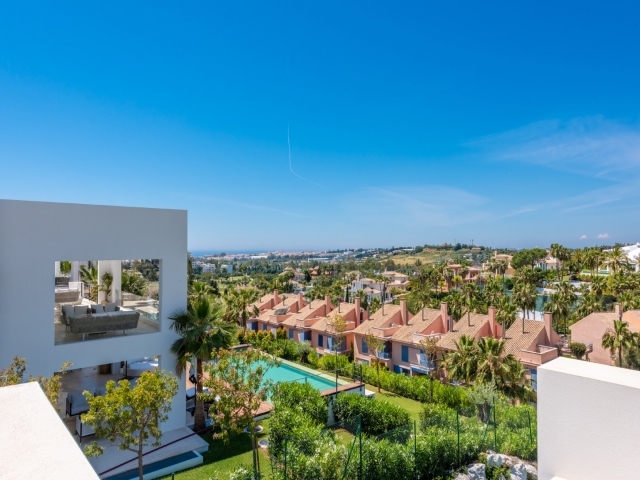 Situated just a short drive to all amenities including bars, restaurants, supermarkets, international schools, numerous leisure facilities and the beach, it is ideally situated for families either as a permanent residence or equally as a holiday home. 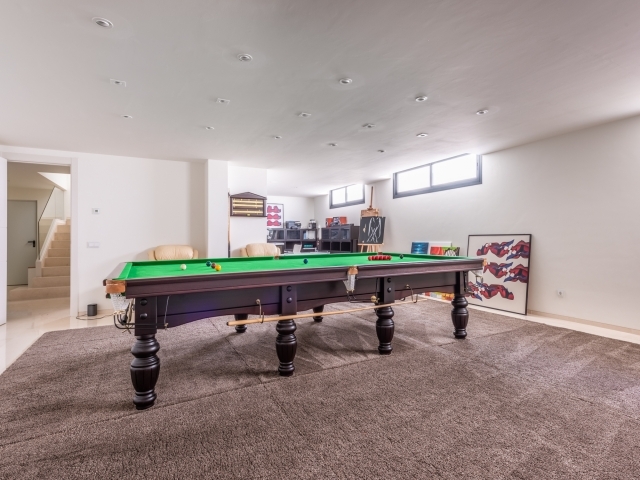 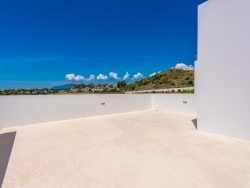 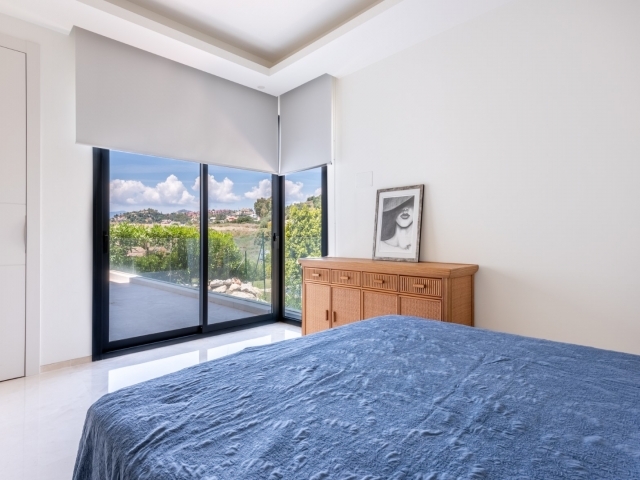 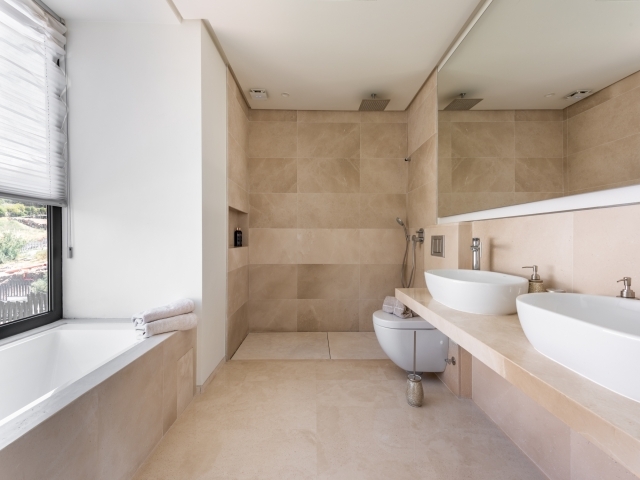 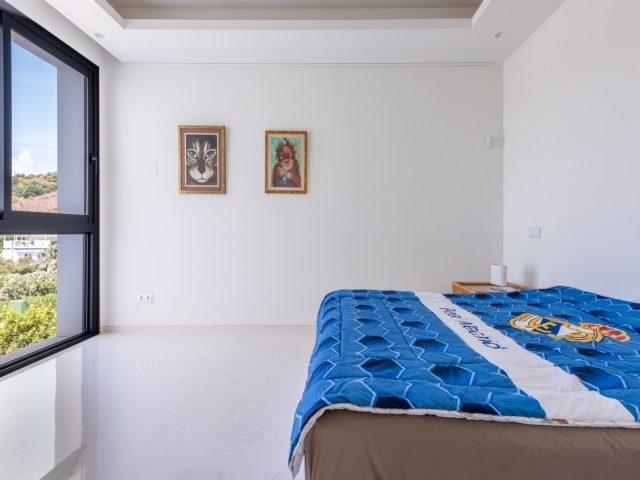 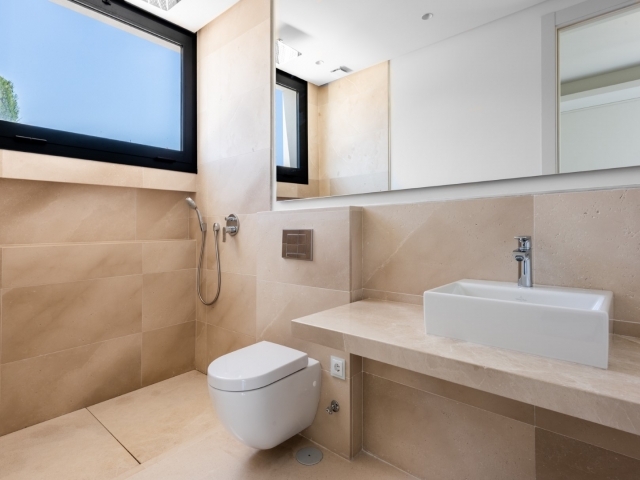 Finished to the highest of standards throughout, the villa offers versatile living accommodation with an open-plan kitchen and living room, five bedrooms, modern bathrooms and an elevator from the garage all the way up to the roof terrace. 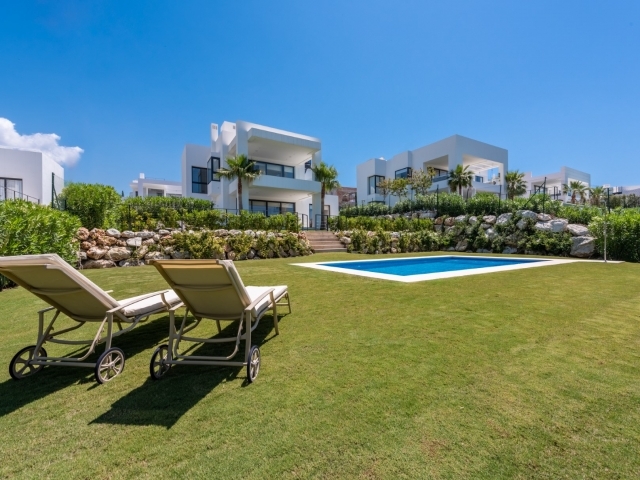 The property also features high ceilings, large windows, a generous southwest facing garden and swimming pool. 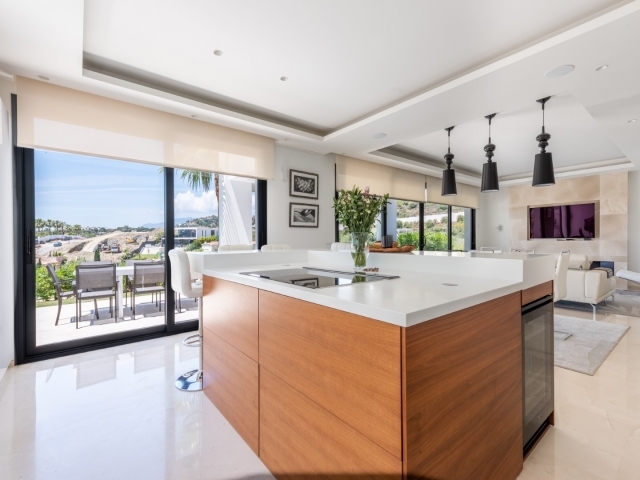 This property has been built with the intention of providing buyers with sophisticated and stylish modern villas in a gated and well-maintained community. 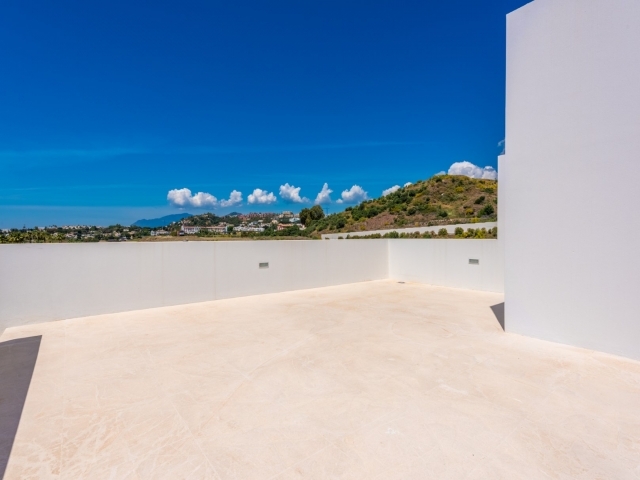 The gentle southwest sloping of the location means they also boast stunning mountain and sea views. 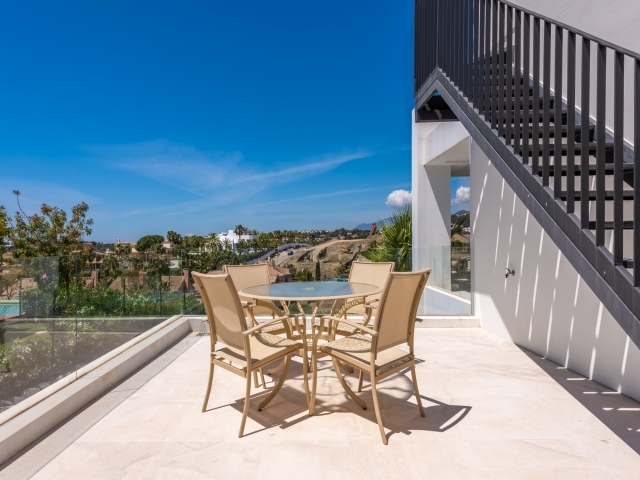 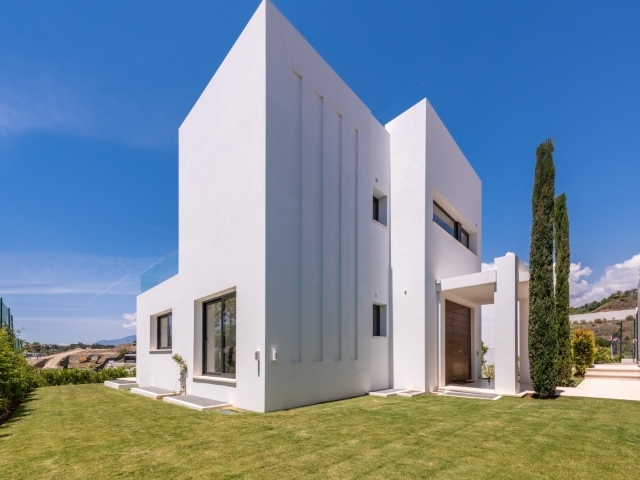 Combining contemporary architecture with a warm boutique style interior and touches of Andalusian charm, the villas offer a unique opportunity to acquire a luxury property in a truly prime location on the Costa del Sol.